Whether or not you’re already a fan of Ransom Riggs‘ best selling trilogy, you’re likely to find some magic in Miss Peregrine’s Home for Peculiar Children, the latest feature film from director Tim Burton. Eva Green, who previously worked with Tim Burton on Dark Shadows, plays the title role as the headmistress of a school for “peculiars”: those born with extraordinary abilities. Whether the children are invisible, lighter than air, or even filled with bees, the class at Miss Peregrine’s are kept protected from the rest of the world through a special “loop” in time. It is when the loop becomes broken, however, than one young boy, Jake (Asa Butterfield), must find a way to protect the Peculiar children and, in doing so, perhaps discover his own peculiarity. ComingSoon.net had the opportunity to sit down with Tim Burton and stars Eva Green, Asa Butterfield and Ella Purnell to get an early look at the fantastic world of Miss Peregrine’s. In the player below, you can check out our video interviews wherein Tim Burton talks about some of the thematic ties between Miss Peregrine’s and his previous films and working closely with Ransom Riggs to bring the author’s peculiar world to life. We are so excited to share the first trailer for Tim Burton’s Miss Peregrine’s Home for Peculiar Children. The movie is based on the bestselling novel by Ransom Riggsand. Along with Ella stars Eva Green, Asa Butterfield, Chris O’Dowd, Allison Janney, Rupert Everett, Terence Stamp, with Judi Dench and Samuel L. Jackson and will arrive in UK cinemas AUTUMN 2016. We have added x79 HD screencaps to the gallery, here. Tim Burton is a filmmaker who always seemed drawn towards the peculiar. So his latest movie, Miss Peregrine’s Home For Peculiar Children, strikes us as an ideal fit. Based on the book by Ransom Riggs, it’s a typically Burtonesque tale of fantasy and intrigue, detailing a magical orphanage populated with mysterious children and shape-shifting protectors. Empire has an exclusive first look at the film. In a typically starry cast, Asa Butterfield and Ella Purnell lead up the child actors, while Chris O’Dowd, Allison Janney, Rupert Everett, Terence Stamp, and Samuel L. Jackson join Green and Dench. Burton is directing from a script by Jane Goldman, adapted from Riggs’ novel. Miss Peregrine’s Home For Peculiar Children flies into US cinemas on September 30, ahead of a UK release on October 7. Be sure to pick up a copy of next month’s Empire (on sale March 31) for more exclusive tidbits. Filming in in Brasschaat + Film Logo! The American film studio 20th Century Fox has announced that the open-air filming for the movie ‘Miss Peregrine’s Home for Peculiar Children’ will start in Brasschaat in July. Film director Tim Burton will move to the Antwerp municipality for two weeks together with a part of his cast. Tim Burton has chosen Brasschaat’s Kasteel Torenhof as the outdoor setting for his latest film. Miss Peregrine’s Home for Peculiar Children is based on the book by the American author Ransom Riggs and tells the story of a 17-year-old that ends up in an orphanage on a mysterious island after a dreadful incident. ‘Miss Peregrine’s Home for Peculiar Children’ is one of the most anticipated work of Tim Burton for next year. Despite the Director’s injury, the filming for the movie is now moving forward. Actor Samuel L Jackson has taken to social media to announce his arrival on the Fylde coast. Mr Jackson uploaded a photo of himself in the Grand Hotel, South Promenade, St Annes. Tim Burton is at the helm of new movie Peregrine’s Home For Peculiars which also stars Ella Purnell. Filming will start in the town from today with Blackpool Tower just one of the iconic landmarks to feature in the movie. 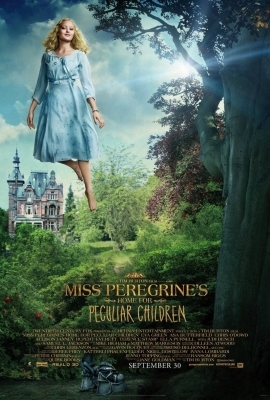 The new 20th Century Fox film is based on best-selling US children’s book ‘Miss Peregrines Home For Peculiar Children’, written by Ransom Riggs. Other stars set to feature in the film include Dame Judi Dench, Asa Butterfield, Allison Jannley, Terrence Stamp, Kim Dickens and Rupert Everett. Also, a big thank you to Nicole for the beautiful new design for Ella-Purnell.Org !! ‘Miss Peregrine’s Home for Peculiar Children‘ is now in production; however it seems that the casting for movie adaptation of Ransom Rigg’s novel is still being decided. But then again, we’re just glad it’s already in production. There’s some pretty big names involved in this upcoming movie and their not your usual Tim Burton casting. There’s Asa Butterfield, Ella Purnell, Allison Janney and of course Samuel L. Jackson, alongside other actors. Asa Butterfield will be the main character, Jacob; Ella Purnell will play Emma, Samuel L. Jackson will play Barron, and Eva Green will play Miss Peregrine. New cast Allison Janney will play Dr. Golan, who will be Jacob’s psychiatrist. In the book, Dr. Golan is a man, however they chose to make the movie character a woman, this, I guess, is just one of the surprises that we can expect for the upcoming ‘Miss Peregrine’s Home for Peculiar Children’ the movie. Kim Dicken’s role is still unknown at this time. ‘Miss Peregrine’s Home for Peculiar Children’ will be directed by gothic genius Tim Burton, and to be honest I can’t imagine anyone else directing this movie. This is the second collaboration between actress Eva Green and Director Tim Burton. The first one was in 2012’s adaptation of ‘Dark Shadows’. The book has a very gothic feel to it, so this movie is surely a perfect match for Tim Burton. All Tim Burton fans are really excited about it. 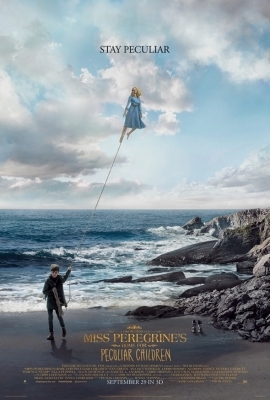 ‘Miss Peregrine’s Home for Peculiar Children’ is going to hit the big screen on March 4, 2016. Production is underway on visionary filmmaker Tim Burton’s MISS PEREGRINE’S HOME FOR PECULIAR CHILDREN, based upon the best-selling novel Miss Peregrine’s Home for Peculiar Children, by Ransom Riggs. The film, which 20th Century Fox releases in theaters everywhere March 4, 2016, stars Eva Green, Asa Butterfield, Ella Purnell, Chris O’Dowd, Allison Janney, Terence Stamp, Kim Dickens, Rupert Everett, with Judi Dench and Samuel L. Jackson. Director Tim Burton is widely regarded as one of the cinema’s most imaginative filmmakers. His many credits include the recent Big Eyes, plus Alice in Wonderland, Batman, Batman Returns, Beetlejuice and Edward Scissorhands, Frankenweenie, Charlie and the Chocolate Factory, Sweeney Todd: The Demon Barber of Fleet Street and Pee-wee’s Big Adventure. Ransom Riggs’ novel was published in 2011, followed in 2014 by a second book (in a planned trilogy), Hollow City.